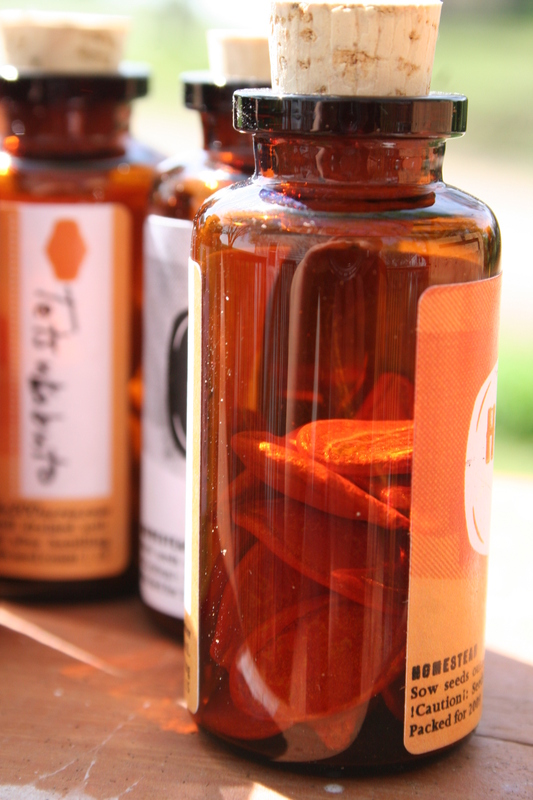 One seed source we use packages their seeds in fun glass bottles! Aaron spends all winter perusing the stacks and stacks of seed catalogs that appear each day in our mailbox trying to decide what varieties of pumpkins to plant the following season. One seed source we use packages their seeds in fun glass bottles with corks! Many of the pumpkin varieties we plant are “heirloom varieties”. The term refers to the kinds of pumpkins our ancestors once grew because of their fabulous eating quality, or unusual form. Many of these “heirloom varieties” have gone out of production over the years in favor of new hybrid varieties with better yielding potential or increased disease resistance. In 2008 we grew over eighty different rare and unusual varieties including the best velvety pie pumpkin we ever tasted! Look for us to offer restaurant quality pie pumpkins bundled with our famous pumpkin pie recipe in 2009! 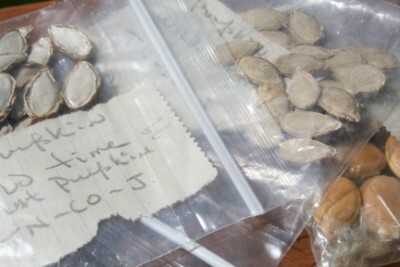 Aaron stores many of his seeds in a vintage seed box we found junking in Cairo, Nebraska! 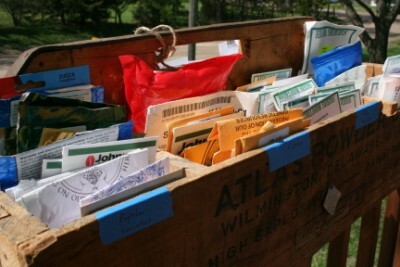 Here is a section of the box marked “Odd Varieites” that holds many of our heirloom seeds. 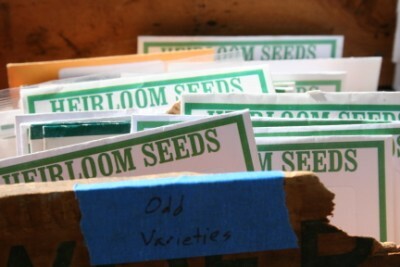 Aaron wrote letters to farms that have saved their own seeds for years.